With God’s love in our hearts, we can do anything! God’s love is amazing. It’s higher than the trees, more vibrant than a rainbow, bright enough to light up a dark sky—and so much more! In this sweet book, children will be reminded of how truly all-encompassing God’s love is and discover how His love can help us do the seemingly impossible. 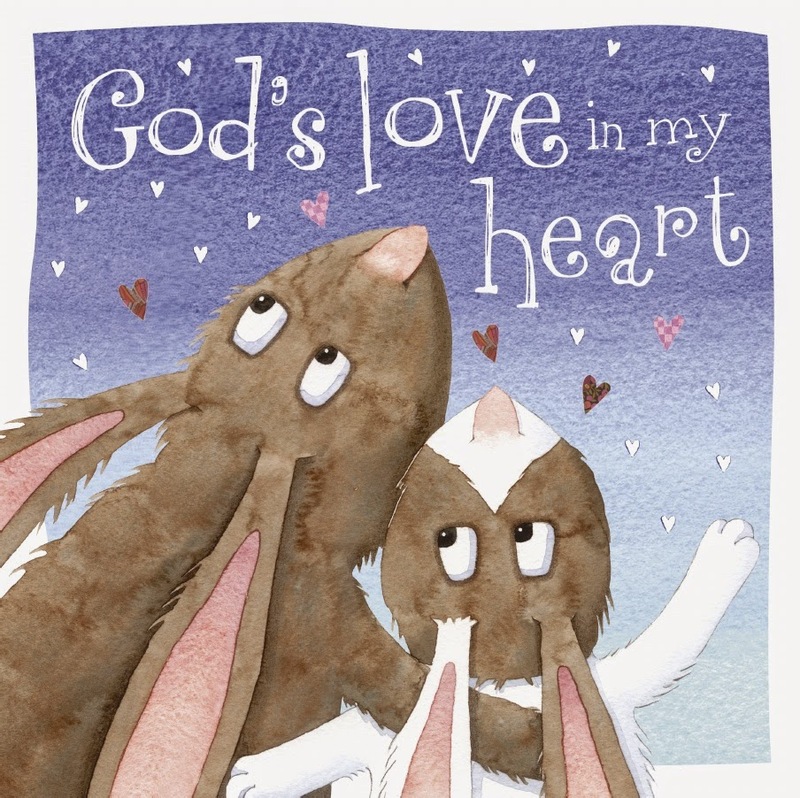 Using fun rhymes, this board book features adorable, illustrated bunnies who learn that with God’s love, they can do anything. The two sweet bunnies, Big and Boo, have had a wonderful day playing in the forest. Now it is time to make their way home, but Boo is tired and doesn't think he can make it. Along their journey Big reminds Boo that God's love enables them to be strong. Through colorful illustrations and delightful rhyme you will be able to share with your little one about God's wonderful love for us. Without quoting the Scriptures this little storybook brings home the truth that we can do all things through Christ, Who strengthens us. I'm sure that you will enjoy sharing with your child all about the love God has for us and the amazing ways that love strengthens us even in hard times. This book would make a great addition to any child's library. We have partnered with Tommy Nelson to offer one of our readers a copy of the book God's Love In My Heart. The giveaway is open to U.S. residents and will run through midnight on Monday, August 25, 2014. You must be at least 18 years old to enter. The winner will be contacted by email and will have forty-eight hours to claim the prize. If unclaimed, a new winner will be drawn. The winners’ entries will be verified. Please enter the contest using the Rafflecopter form below. All entries are optional. Kristian - what a perfect idea! It is an adorable book. It is like a board book so it is very sturdy for little hands. The illustrations are just adorable. I'm going to have to remember your suggestion for the next baby shower I go to. What a good momma you are to keep encouraging her to overcome her fears! Way to go!! !